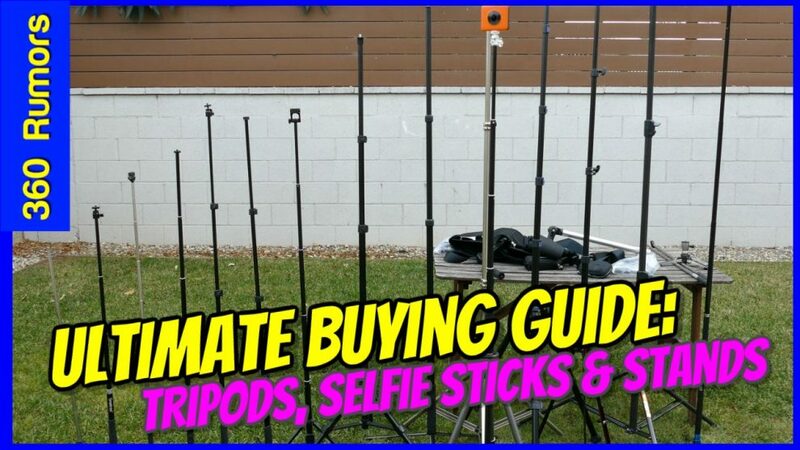 Here is the ULTIMATE buying guide and comparison for 360 camera tripods and 360 camera selfie sticks. No matter what kind of 360 camera tripod, 360 camera selfie stick, or 360 camera monopod you are looking for, you’ll find it here. + Pocketable. Very easy to carry with me anywhere. + If you can remove the ballhead, it becomes invisible. + Slim and invisible to all 360 cameras, including Insta360 One X, Ricoh Theta V, and Xiaomi Mi Sphere. + Includes a compact stand and counterweight which together make the Bushman monopod stable enough for any consumer 360 camera. At the same time, the stand occupies only a small portion of the nadir, so it is easy to patch. + The last segment of the Bushman can be rotated to enable you to aim the stitch line and/or the lens to any direction without moving the tripod. + Useful accessories such as counterweight and magnetic base. – When stand is attached, it is not so compact. + last segment can be rotated to enable you to aim the stitch line and/or the lens to any direction without moving the tripod. + tip has a rubber collar that can be moved to make the Telesin invisible. – Each segmented can only be fully extended. Each segment cannot be partially extended. The big problems for these tripods is uneven ground and wind. If you have an Instapro360 and it is blown over, that’s $3,500 up the spout. I am extremely leery of anything that doesn’t have wide legs. I’d rather spend time brushing it out in Affinity Photo or covering it up the legs with a logo than buying something that could fall over. By the way, Affinity Photo has a marvelous routine for editing the nadir! Just a few clicks and you’re done! Hi Tim. I agree, which is why for Insta360 pro, I use a lightstand. And yes Affinity is excellent for fixing the nadir. Great review! I bought the Promaster LS-CT a couple months ago, and it was exactly what I wanted in a monopod. Something that was sturdy, extended a little above my height, and was portable enough to carry into theme parks. It’s more compact and more sturdy than my cheap standard tripods, and it’s much less visible with my Mi Sphere (only the legs are visible). One difficulty I found is folding the legs back up. The locking mechanism is difficult, and it can be annoying to hold the small release lever while folding each leg back up. Other than that, it works really well. Thanks Stephen! Congrats on the Promaster! I love it too. As for the release mechanism, i usually move the leg down a bit first, which makes it easier to press the release button to unlock it. Thanks for the great video and article! I needed a 5′ tall tripod for 360 pictures for a new job I have with a surveying company where I’ll be traveling to job sites. I just ordered the MonoShot and think it will be perfect! I look forward to learning about virtual tours and more about 360 cameras from your site as well! Thanks again!